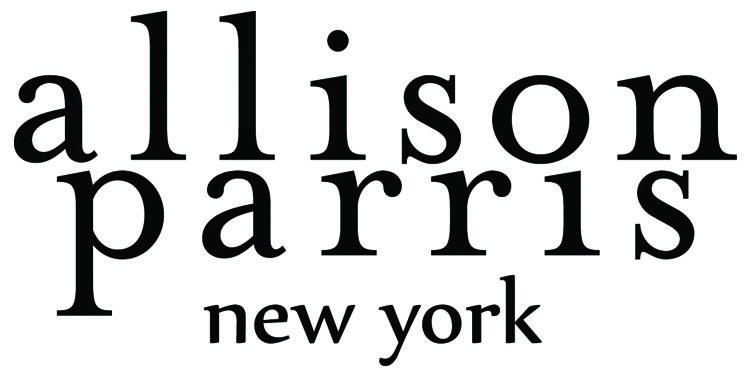 The eco-friendly and socially conscious Allison Parris New York Collection is built around the idea that “retaining moral values” and “being able to wear beautiful, well made clothing” are not mutually exclusive actions. While keeping a feminine and sophisticated appeal, APNY utilizes organic silks, fabrics made of recycled materials and factories within Manhattan's Garment District in order to create a better clothing experience for their clients. While technology has not developed to the point where we are able to ensure that every aspect of the collection is "eco,” we are continuously exploring new developments within the field and new ways to implement them. If you have any suggestions, we would love to hear! Please feel free to email info@allisonparris.com with any of your ideas. Allison Parris, born in Santa Clarita, California and raised in Birmingham, Michigan, grew up in a creative household where artistic development was highly encouraged. Her mother, Heidi Parris- founder of Parris Interior Design, began sharing her knowledge of fabrics, design and construction very early on, while her father, Michael Parris- writer, photographer and public relations consultant, continuously stressed the importance of visual presentation and branding. In January 2017 Allison started her second company, designing Burning Man Costumes, as well as clothing and accessories for Burning Man & other music festivals. Take a look at BurnerApparel.com for a different side of Allison's work!